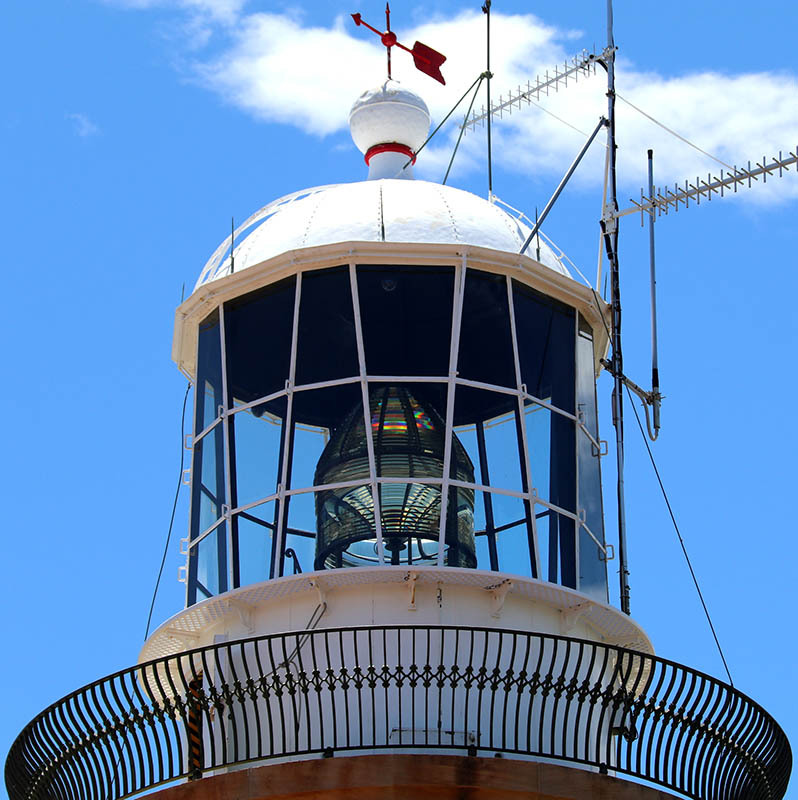 Barranjoey Head Lighthouse | Lighthouses of Australia Inc. 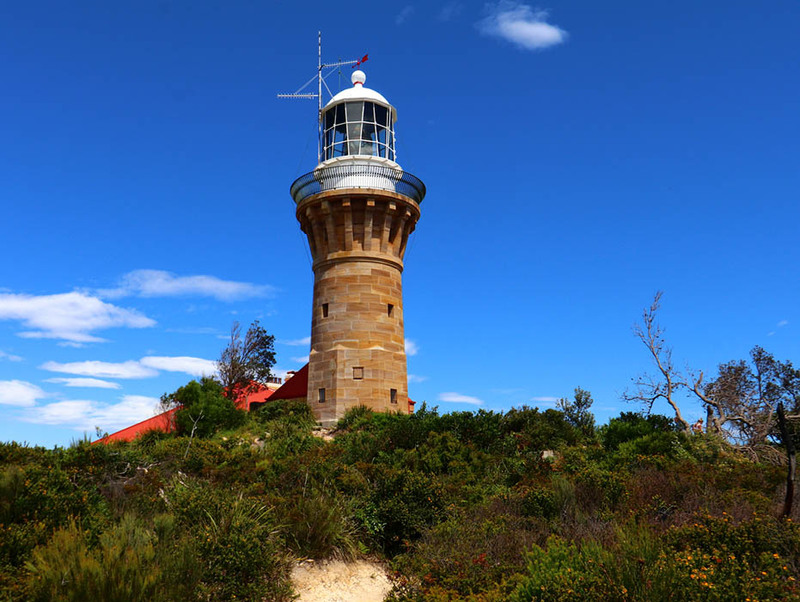 Built of the attractive Hawkesbury Sandstone at Barranjoey Head on the outer reaches of suburban Sydney, the preservation of the Barranjoey Lighthouse and cottages has been a battle against bureaucracy, the elements and vandals. 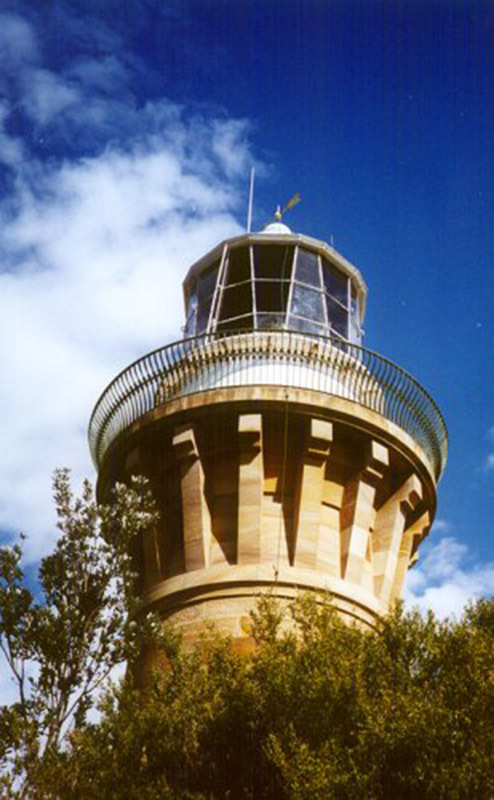 The Barranjoey Lighthouse was the third light on the headland and was completed in 1881. A customs station was established in 1843 as the Headland marked the entrance to Broken Bay and the Pittwater which were considered to be the backdoor of Sydney for smugglers. The first report of any light on the headland was in 1855 when a fire was raised in a basket to assist mariners during stormy weather. Broken Bay and the Pittwater were a safe haven in storms for vessels carrying coal from Newcastle to Sydney. Later, in 1868, two wooden lighthouses know as the Stewart Towers, were built at either end of the headland to guide ships in. 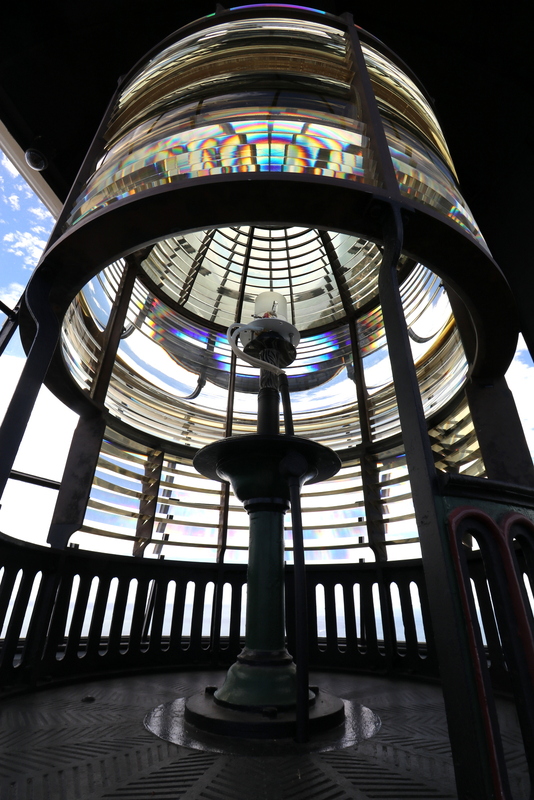 The need for a more permanent light lead to the construction of the current lighthouse. The tower is unpainted and built of the very aesthetic local sandstone. 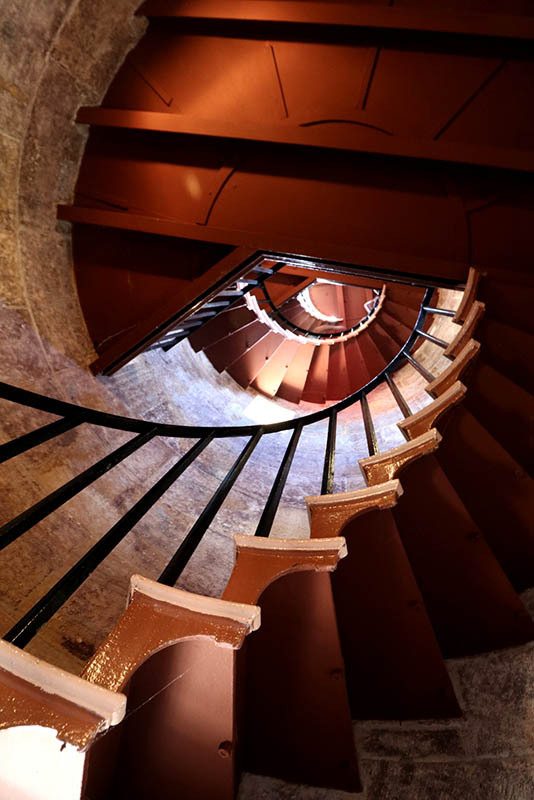 The original apparatus in the new tower was a fixed red dioptric of 700 candlepower with four oil wick burners. It is interesting to note that when this light commenced operations in 1881, and the first keepers were the George Mulhalls, father and son, who had also tended the lamps of the wooden Stewart Towers. In 1900, an explosion followed by a fire destroyed the ornamental roof of the adjacent oil house. Fortunately it was subdued before reaching the tower. 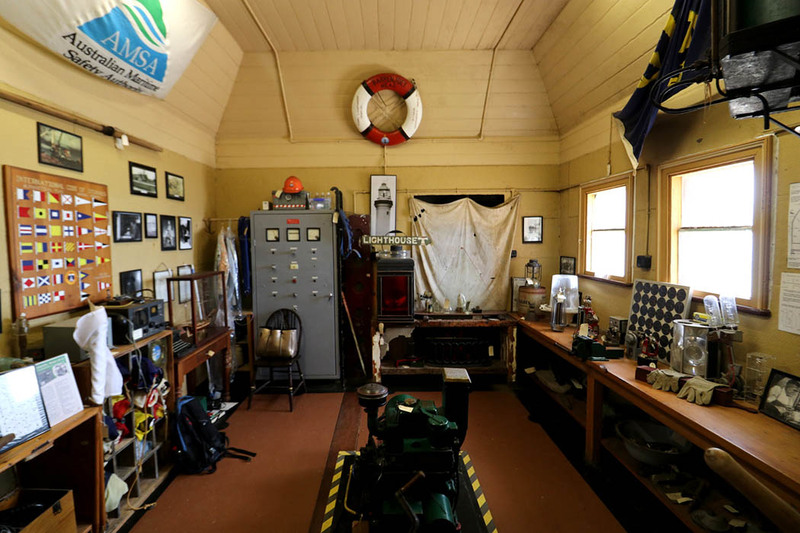 In 1932, the Barranjoey Lighthouse was converted to automatic operation with the installation of a acetylene gas apparatus. A new character of group flashing white light of 6,000 candlepower was introduced. It was turned off and on by a Dalen Sun Valve. Even though the acetylene gas apparatus was efficient, access to the tower for re-supply caused problems and in 1972 the light was converted to electric operation. Control of the reserve was passed to the NSW Parks and Wildlife Service in 1997 though the lighthouse and cottages were handed over in 1998. Unfortunately as a result, Jervis and Bridget Sparks, who had dedicated 30 years to researching and looking after Barranjoey and its lighthouse lost their fight to stay there in a court battle that ended in 1998. Jervis has written the book “Tales From Barranjoey” while both Jervis and Bridget operated the Barranjoey Historical Resources Centre and undertook voluntary guide work for the National Parks and Wildlife Service as part of the Chase Alive program. 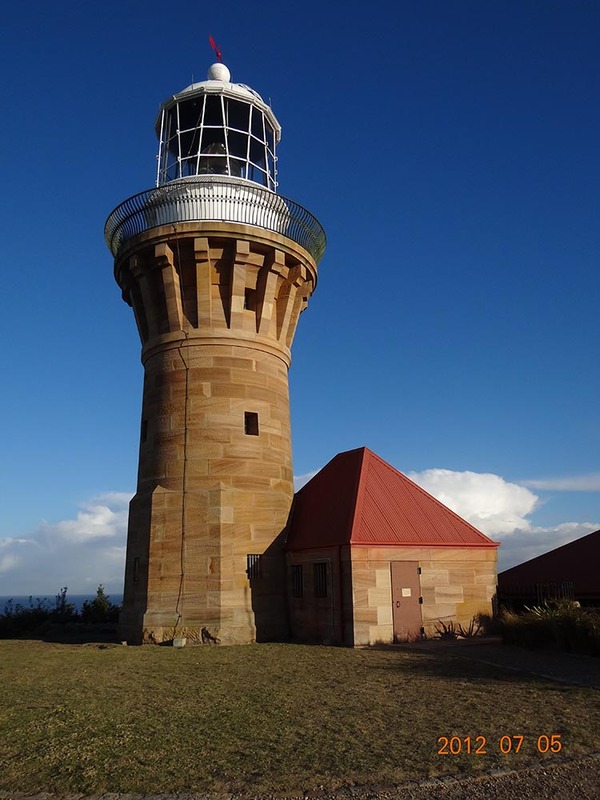 Despite the controversy of the eviction of the long standing tenants Parks and Wildlife are to be commended in there approach to restoration and utilisation of the Barranjoey Lightstation. A vindication of this is that despite a painful parting from Barranjoey, Jervis Sparks has assisted in providing background material and advice in its restoration. The correct spelling of the name of the Barra(e)njoey Lighthouse is something for which there is no definitive answer. 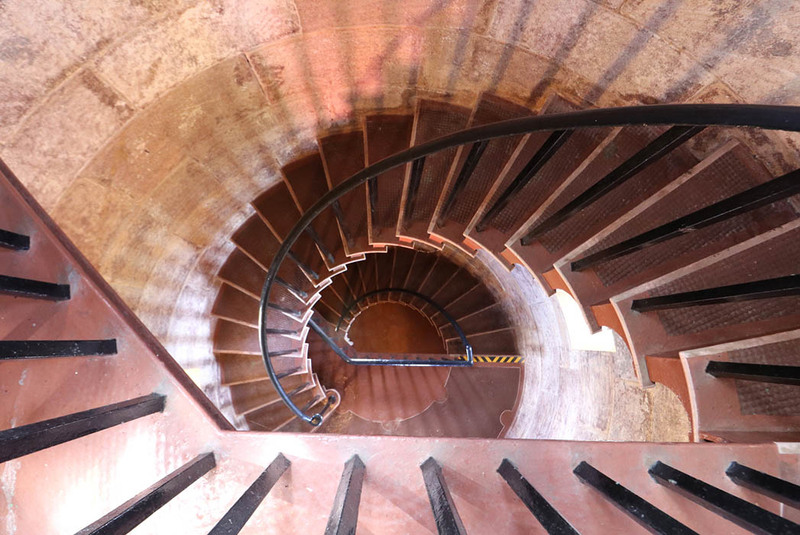 The original plans for the lighthouse spell it as ‘Barrenjuey’, but when the lightstation came under the jurisdiction of the Commonwealth Lighthouse Service, it was officially known as the ‘Barranjoey Lighthouse’. 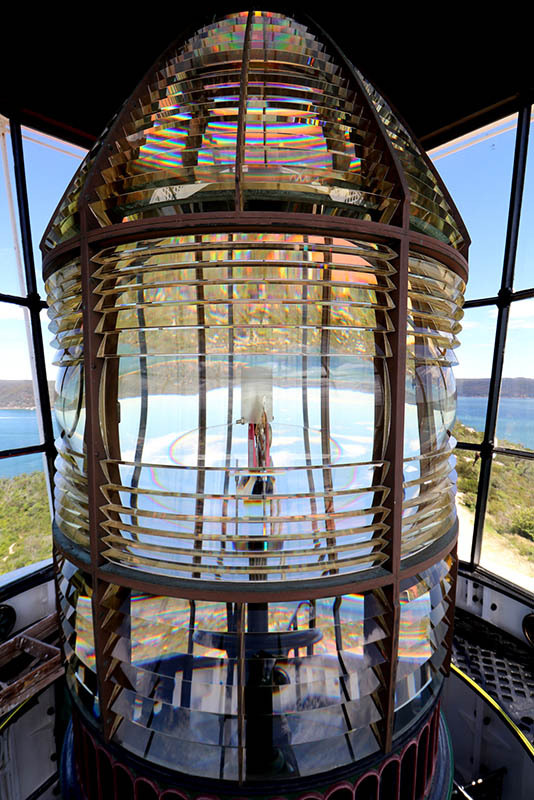 The Geographical Names Act of 1966 decreed it should be spelt ‘Barrenjoey Lighthouse’, and this spelling tends to be the most popular usage today. However, as this website page is about the lightstation itself, which is referred to as ‘Barranjoey’ in most official lighthouse documentation & literature, Lighthouses of Australia Inc has decided to use this spelling, whilst acknowledging that the other variations exist. The grounds are open from sunrise to sunset. it is about a 30 minute walk from the carpark to the lighthouse. A fee may apply. A small museum is in the base of the tower.